LONDON/TOKYO -- After a February meeting between UK Prime Minister Theresa May and 19 Japanese business chiefs, Tokyo's ambassador to Britain warned what might happen if Brexit took an unfavorable turn for foreign investors. 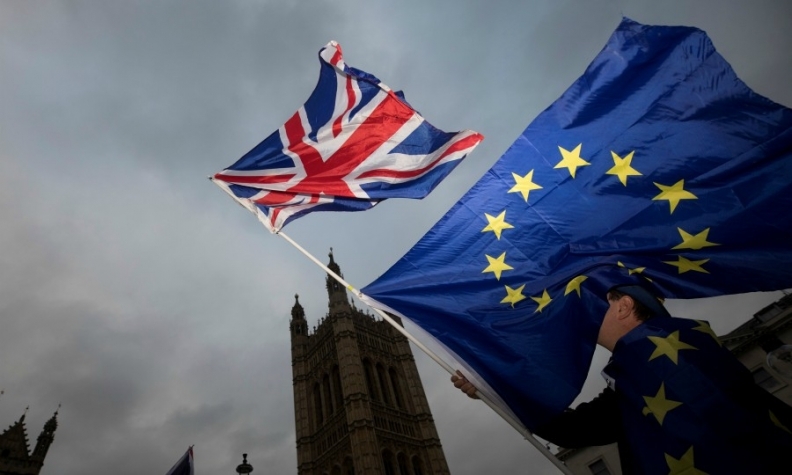 "No private company can continue operations" in the UK if it becomes unprofitable, Koji Tsuruoka told reporters on the steps of May's Downing Street residence, after the premier pledged to pursue frictionless trade with the European Union. "It is as simple as that." Eight months later, as the risk of a no-deal Brexit looms larger and nearer, Japanese companies are not waiting to find out whether May can deliver. Instead, a growing number of them are heeding Tsuruoka's warning, shifting operations out of the UK or threatening to scale back if the country crashes out of the EU without a deal. Toyota said on Saturday that it might have to temporarily halt output at its plant in Burnaston, England, in the event of a so-called hard Brexit. Electronics maker Panasonic has moved its European headquarters from near London to Amsterdam, while the Japanese retailer of Muji products is mulling a similar relocation to Germany. Other companies, such as robot maker Yaskawa Electric, are choosing sites in continental Europe for new operations to stay close to European customers if Brexit creates trade hurdles. "A lot of Japanese companies, manufacturing companies in particular, have invested in this country as a gateway to Europe," Shinichi Iida, minister for public diplomacy and media for the Japanese embassy in London, said in an interview. "A no-deal Brexit in March next year will be nothing short of a cliff edge" for our businesses. The stakes are high for both countries because of their close economic ties. The UK is Japan's second-biggest investment destination after the U.S., with $153 billion committed as of 2017, according to the Japan External Trade Organization. The Asian nation is the biggest investor in Britain aside from the U.S. and a handful of European neighbors. About 1,000 Japanese companies operate in the UK employing roughly 160,000 workers. Many of these firms came to Britain in the 1980s as Prime Minister Margaret Thatcher promoted the country as a point of access to Europe. That history has not been forgotten. A 15-page letter issued by the Japanese government to the UK in September 2016, three months after the referendum, said Tokyo trusts that the UK "will give due consideration to the context in which Japanese businesses have invested in" Britain. Japanese business officials' blunt talk is unusual for a corporate culture where confrontation is frowned upon and contrasts with many UK firms' own reluctance to speak out about Brexit. A December survey by JETRO found 47 percent of Japanese-affiliated companies in Europe thought leaving the EU would have a negative impact on them. Their main concerns were a UK economic slump and exporting from the UK to the bloc. Now some of them are sizing up new sites in Europe. Japanese banks such as Nomura Holdings, Daiwa Securities Group and Sumitomo Mitsui Financial Group have all opened Europe hubs in Germany. Mitsubishi UFJ Financial Group has chosen the Netherlands as a base for its investment banking business in Europe, while Mizuho Financial Group is bolstering its operations in both countries. "There's a lot of choices," said Hiroaki Nakanishi, chairman of Japanese business lobby Keidanren and manufacturer Hitachi, said at a press conference last week, where he warned of the "very serious impact" from a no-deal Brexit. "It's not an easy answer." Hitachi moved the global headquarters of its rail business to London from Tokyo about four years ago and opened a giant new train factory in Newton Aycliffe, England, in 2015. In a nod to Japan's importance to the UK economy, May visited the country in August 2017, two months after her election, with a delegation of business leaders to discuss trade and investment opportunities. At a Tokyo press conference, she praised "the commitment from Japanese companies to a long-term presence in the UK," name-checking Nissan, SoftBank Group and Toyota. Foreign Secretary Jeremy Hunt went a step further during an official visit to Tokyo last month, delivering a speech in Japanese. SoftBank bought UK chip designer ARM Holdings for 24.3 billion pounds about a month after the June 2016 Brexit vote. Assurances by May's government to Nissan later that year spurred the automaker to invest in making new models at its plant in Sunderland, England. Two years on, the government's promises to the automaker have still not been disclosed, and Iida said he does not know what was pledged. The UK government may hope its close relationship with Japan over the last four decades will at least help when it comes to negotiating a post-Brexit trade deal. The fact that Britain was a key player in the creation of an EU-Japan agreement, signed in July after nearly five years, may count in its favor. "We don't think that after Brexit the competitiveness, the characteristics of the UK will soon disappear," said Taku Miyazaki, deputy director general of JETRO in London, because the country's economic attributes would be difficult to replicate elsewhere. But he added, "I can't say that there is no impact."